The Roughneck is a reasonably tanky IS heavy which usually lacks weapon quirks but compensates with decent hardpoints and durability. It is usually suited to brawl-oriented builds, but can branch into ranges as well. Three energy in the CT/HD allows for proper dead-siding and zombie builds. This is the only variant aside from the Reaver which sprinkles energy in with ballistics. Deceptively hard punch, with good sustained DPS, and also a capable zombie. Take advantage of the quirks and leverage the DPS by abusing the high mounts. A dead-sided DPS brawling option. You could swap for AC10s and MLs, but it's rather fragile as a side-peeker and the convergence is awkward - better to nullify these disadvantages by just dead-side brawling. Or better yet, run the HGauss build instead. The best variant for SRM brawling, with godlike high mounts, but they hardly compensate for the lack of jumpjets. Decent MRM brawler with perfect convergence, but lacking in mobility compared to traditional MRM brawlers. A solid brawl loadout with fairly good synergy and all high mounts. AC20 offers you some juicy pinpoint, but the burst potential and synergy are slightly worse compared to alternatives. This has the highest DPS by far - one of the few valid applications for HMGs in the game thanks to quirks, and the engine isn't too slow to get you in range. However, you must facetank in order to deal your maximum DPS, which can be a detriment. A pure energy boat with only 7E, which is barely adequate. Only five of the mounts are high - to use all seven hardpoints, you must expose the entire mech, nullifying the advantage of the high mounts. Also, the added torso geometry can be fragile from the sides, so don't over-twist when spreading damage, or you'll undermine the strong durability of the baseline chassis. A lack of hardpoints makes laservomit on the Roughneck a bit underwhelming, and it relies on some low mounts to deal full damage so the peek profile is quite awful. It can be somewhat tanky, and that's its only advantage. Running a more brawl-oriented loadout mitigates the weak peeking profile of the mech. The pinpoint wubs are pretty good at deleting components and this time we have enough hardpoints to make it work. Can outtrade most other ERLL heavies with its superlative peek profile when abused properly. This is the only variant which can take up to four ballistics. 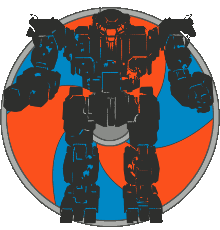 However, due to mount locations, it is strictly inferior to the Jagermech. While its right-side peeking with triple ballistic is strong, it is also very easy to disarm and so requires careful play. This is essentially a worse Rifleman. For the same tonnage, you should play a JM6-DD with higher mounts and an extra AC2. This is a poor substitute for a JM6-DD running the same build. It's purely right sided, which can be a detriment. Ballistics only in the low-slung arms and no significant quirks severely limits what this variant can do. Low mounted arms with no quirks for weapons makes it probably the worst build of all those listed here. High mounts and shield arms. It lacks jumpjets, which really make MRMs worthwhile, but this will perform better than a Catapult with the same loadout due to vastly superior durability. Three LB10 is some of the highest DPS you can cram into a heavy mech, but you pay the price with a vulnerable XL and extremely slow speed. Delete things before they delete you. Remember to skip CoolRun and HeatGen on this one, fill out the Mobility Tree instead. Similar to RGH-1B but with UAC jam quirks that allow you to run 2x UAC10 significantly better. Also comes with some energy hardpoints which are hardly worth using. Again low mounted UAC10s but at this time it at least has UAC jam quirk to compensate for that. If you can play around the convergence and low mount issues, this can deal pretty respectable damage. Ballistic and three missile tucked safely into the torso is the only unique thing about this variant. Not too much you can do with that. Straight-forward brawling build using the torso mounts for all they're worth. Twist like crazy and use those shield arms.